Smooth Brew on McDowell Street, caught my eye today, as I was driving around the Coronado Neighborhood. And, being a new shop for me, I decided to give it try. I had no recommendations from anyone so I stepped out on blind faith, and boy did it pay off! I walked in, and was immediately impressed with the cleanliness of the shop, and the very attentive Barista, who knew a lot about coffee, and espresso, and who was also very knowledgeable about all the wonderful baked goodies in their display case. How were Smooth Brew’s drinks and food? The cappuccino I had was fantastic! The foam was steamed to perfection, as a dry cappuccino with the right balance of foam and espresso, the espresso was not heavy in the cup, and did not over power the drink at all, a perfect harmony of foam, and espresso. The cinnamon chip scone I had was vegan, and it was quite delicious, and filling, a perfect food pairing suggested by my barista there at Smooth Brew. 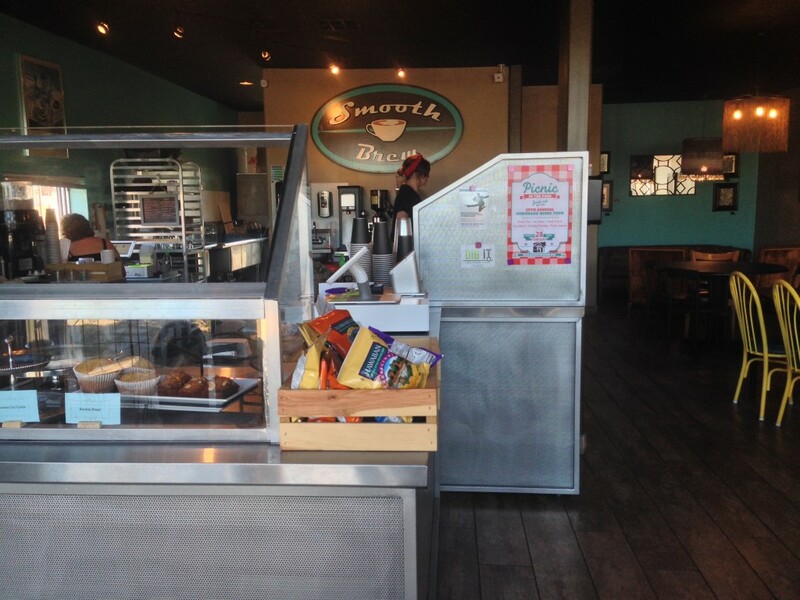 If coffee is not exactly what you want, not to worry, Smooth Brew offers Smoothies, Chai, and other delightful drinks. All the pastries are made that day so they are very fresh. What are Smooth Brew’s plans? 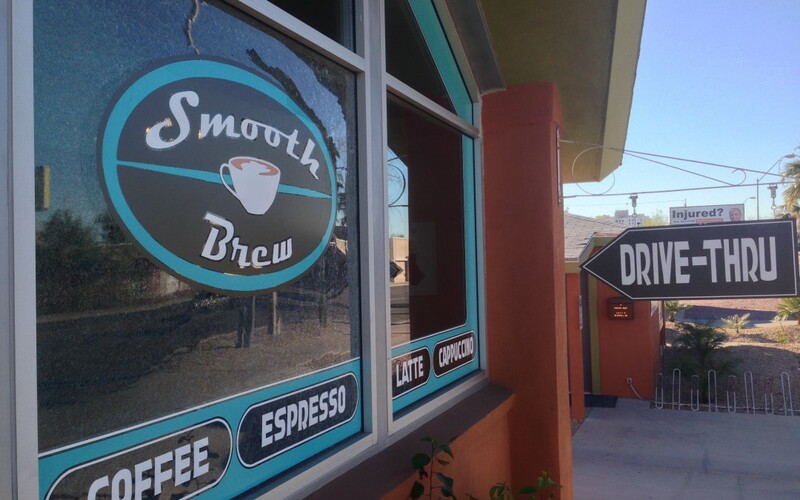 Smooth Brew is currently working to be a neighborhood coffee shop, they have art that is made by local artists gracing their walls, and Smooth Brew has just finished making a patio in the back that is set up for music and events. They also have a drive through window for those who are in a hurry to go somewhere, and most important, they have hours that fits Coronado’s historic community. 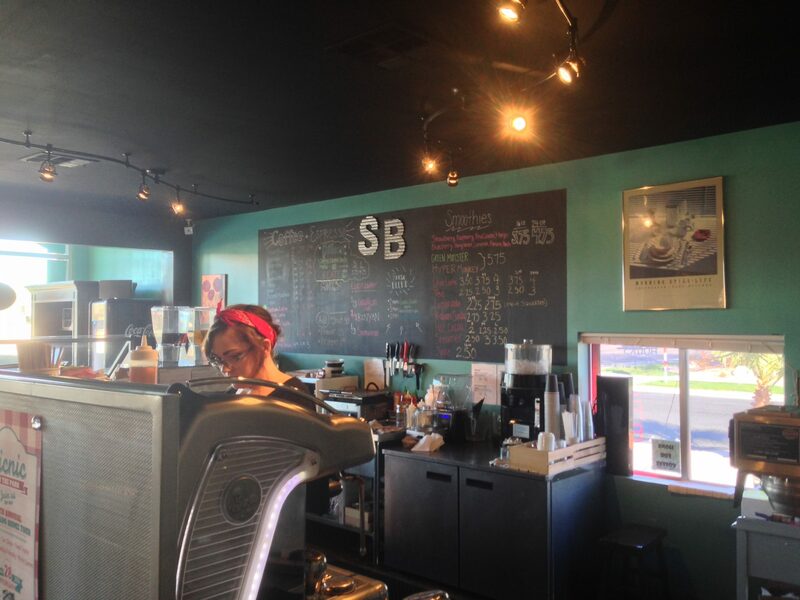 Smooth Brew is on the fast tract to becoming Coronado’s place of choice for hanging out, and drinking coffee. Thank you ken! So appreciated. Great site!